In haunting and crystalline prose, The Train of Small Mercies follows six characters' intrepid search for hope among the debris of an American tragedy. In New York, a young black porter struggles through his first day on the job-a staggering assignment aboard Robert F. Kennedy's funeral train. In Pennsylvania, a woman creates a tangle of lies to sneak away from her disapproving husband and pay her respects to the slain senator, dragging her child with her. In Maryland, a wounded young soldier awaits a newspaper interview that his parents hope will restore his damaged self-esteem. And in Washington, an Irish nanny in town to interview with the Kennedy family must reconcile the lost opportunity and the chance to start her life anew. 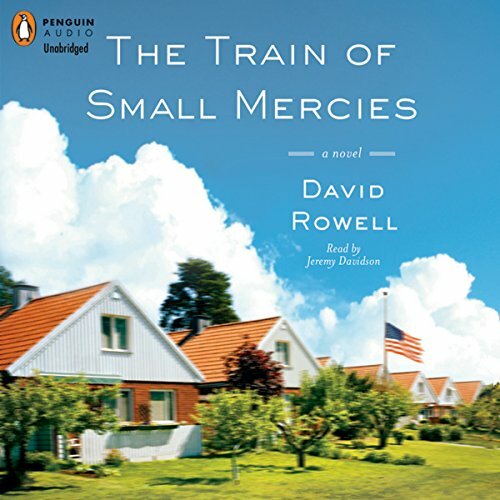 In this stunning debut, David Rowell depicts disparate lives united by an extraordinary commemoration, irrevocably changed as Kennedy's funeral train makes its solemn journey from New York to Washington. Quick, easy, interesting read that gives a fascinating window into the time in America around Sen. Bobby Kennedy's death. Lots of loss individually, racially, socially and nationally.